Here you can find all the latest local information about the Ladbrokes betting shop on South Street in Romford. We have the current contact information as well as a map and the latest online bonuses for this brand. Below is a map listing which shows where this particular shop is located if you would like to visit and place a bet on the latest sporting events. It is close to many other shops including a large shopping centre which features a number of top brands. Check out our Ladbrokes UK page here to see other branches throughout the country in various locations. Below you can see a photo of the store itself which is located close to many other local stores and restaurants. If you are interested in betting online instead, check out our list of cricket betting sites to find the latest deals. Here are the opening hours for the Ladbrokes shop in Romford. As you can see it is open for business 7 days a week meaning you’ll have plenty of chances to stop by and bet on your favourite teams. You can also check out the latest Ladbrokes offers to see the current deals across all sports and games at their site if you are looking to sign up online. You can also check out this page which shows the history of the brand itself and where it began. 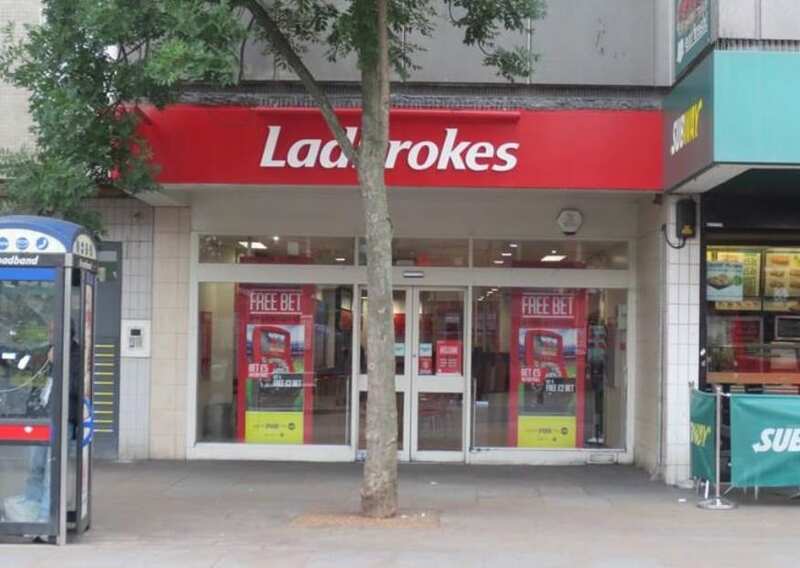 Ladbrokes is a licensed Betting Shop located at 78B South Street in ROMFORD RM1 1RX. – More Details here. The license status: Grant by London Borough of Havering Council as at 16/10/2013. As part of the suburban growth of London in the 20th century, Romford significantly expanded and increased in population, becoming a municipal borough in 1937 and has formed part of Greater London since 1965. It now forms one of the largest commercial, retail, entertainment and leisure districts outside central London and has a developed night-time economy. Romford F.C., who currently play in the Isthmian League, is the local football team. The London Raiders ice hockey team is based in Romford. Romford is home to the Romford and Gidea Park Rugby Football Club, which was established in 1927. In 2003, the club became one of the first in the country to have a ladies Rugby team. There are plenty of opportunities to use Ladbrokes when betting on these different sports whether it’s online or in your local shop.